Welcome to Vin Devers! We’re happy you’re here and want to take the time to welcome you to our dealership. Although it may seem a little odd to do that through the Internet, we know there are more customers coming to us online than ever and we wanted to reach you where it’s most convenient. At Vin Devers you’re working with some of the most honest, decent staff in the Sylvania area and we also have a huge selection of new and pre-owned vehicles. Although we are in the business of selling cars, we know that the process of buying a new car is a lot more than just that. We’re here to get to know you and your family, as you’re the reason we’re able to get up and be around what we love each and every day: cars. We offer a variety of resources including our blog, our service department and our friendly staff. 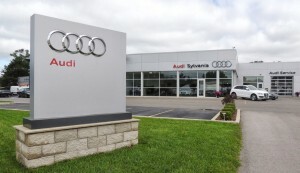 We’re a one-stop shop in the community you love, not just a car dealership in Sylvania. We would be remiss if we didn’t mention our lineup of quality new and pre-owned cars. After all, that is what we specialize in. 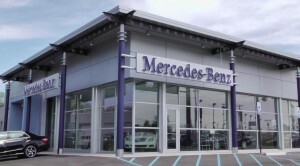 At Vin Devers, we have a number of Mercedes-Benz, Audi and Sprinter vehicles, new and used, which means there is a pretty good chance that we’ll find the perfect car for you and your family. It’s a great time to be working with any one of our popular vehicle manufacturers and get a pre-owned or new Mercedes-Benz Audi Sprinter vehicle in Sylvania because of the quality of these amazing vehicles. Our staff is full of knowledge of each of these brands and is always around to help you with any questions or in any other way we can. Our selection of new cars in Sylvania is one of the largest in the area and we can’t wait to show them to you. In addition to new cars, we also have a number of certified used cars in Sylvania. Our used lot is full of affordable, reliable vehicles for any and all price points and families. Let us know if you have any questions, as we’re always willing to do whatever we can to serve our number one priority: you. You already know we have a huge lineup of vehicles, but did you know we also have a full-fledged service center in Sylvania at Vin Devers? Well, it’s true. We offer a variety of services from routine oil changes to more complex fixes such as engine work and always perform these services with a smile. We love what we do and we want to share that love of the automobile industry with you. After all, if you don’t love your car, what’s the point? We know it’s not always fun getting your car serviced in Sylvania, but at Vin Devers, we hope to make ait a little more bearable. We work our hardest to get you in and out quickly, but without sacrificing quality. Our stock of auto parts is almost as large as our stock of new and used vehicles in Sylvania, meaning we can likely have you in and out faster than you imagined. Through the years, we’ve proven ourselves to be some of the best car people around. Give us a chance and let us show you all we can do when you get car service in Sylvania at Vin Devers.